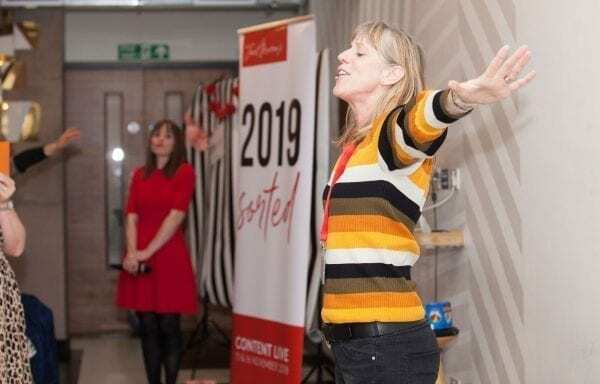 Last week I went to The Content Live Conference in London. No it wasn’t anything to do with Pilates. 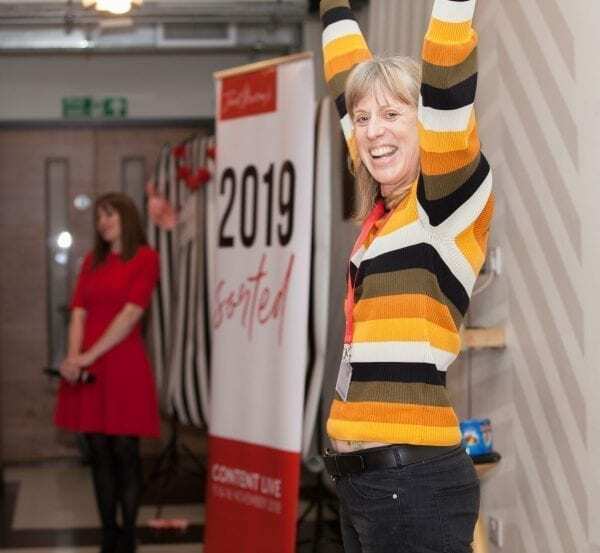 It was organised By Janet Murray from Love Marketing and Make Money. This is a online business group that I belong too to help me build my business online. 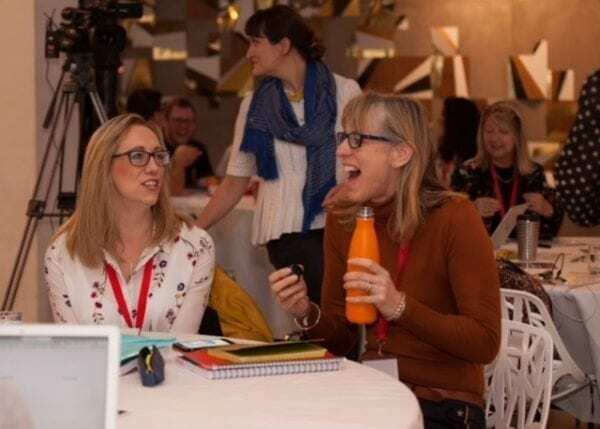 The aim of the conference was to help me plan where my business is going next year – perfect for me who needs all the help I can get as I am so disorganised. It was amazing with great and inspirational speakers, I came away buzzing with a real focus on what I need to achieve next year! BUT there was one thing that was worrying me about the 2 days. I hate sitting for long periods! I lose concentration, I fidget and get very tried! It’s so different from my normal days where I teach Pilates (moving) walk the dog (moving) and if I am sitting at my desk I set an alarm on my phone to get me up and moving! Looking round the room on the day I saw people who probably sit at their desk everyday, I saw their posture change throughout the day and the tension creep into their shoulders. Sitting all day also weakens your glutes (your bottom) and can cause back problems. In September I had attended a Mastermind day with Janet. There were only 8 of us there but at lunchtime I couldn’t help myself and got everyone up for a stretch! They loved it. So Janet suggested we do it at Content Live. When everyone thought they were off to lunch up I pop. Getting everyone up and stretching and moving, showing ways to take the tension out of their shoulder, open up the chest especially if they have been hunched over a desk and waking up the glutes. The feedback was amazing but the best thing over the 2 days (I did it both days) was that people began to realise the effect it had on them and how easy it was to do. It felt great, 100 people in the room moving and realising that yes they could do this at home without taking much time but the benefits were so worthwhile. (at an appropriate break!) to stand up and move. PreviousPrevious post:Why exercise is important in your lifeNextNext post:What happens to your muscles when you sit all day?